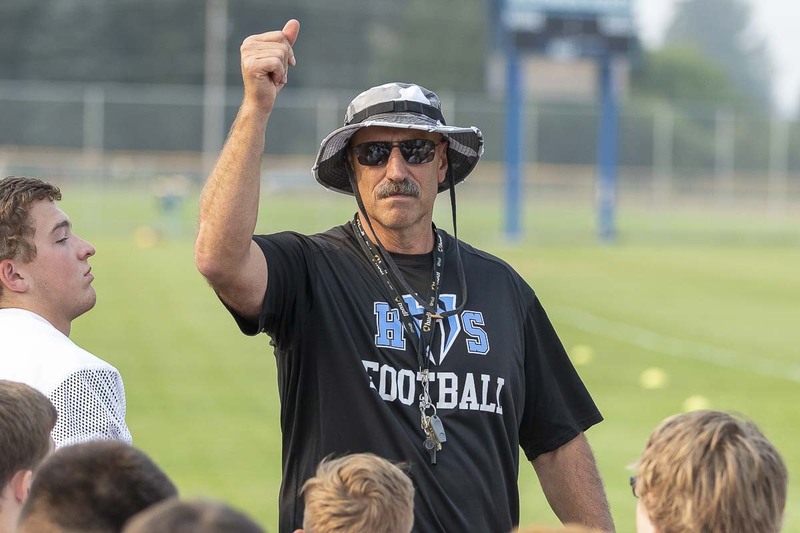 The Hockinson Hawks won their 15th consecutive football game, opening the 2018 season with a win in Week 1. Week 2 is the focus now. As in right now. Tonight. Thursday night football. The Hawks, ranked No. 2 in The Associated Press’ Class 2A rankings, will travel to take on Archbishop Murphy, No. 3 in the poll, at 7 p.m. Thursday. Archbishop Murphy won the 2016 Class 2A state championship. Hockinson won the 2017 Class 2A state championship. Yes, kind of a big game. Even though Hockinson has won a state championship, this is believed to be the first live television broadcast for a Hawks football game. The lower classification do not normally have their state championship games on live television. And for the regular season, these games are usually reserved for the powerhouse schools. Hockinson was never considered a power program … until now. Last year was the first season the Hawks made it past the quarterfinals. Well, they have made a name for themselves. They are big-time now. After going 14-0 in 2017, the Hawks are now 1-0 in 2018 with a convincing road win. “I think Toppenish has tough kids. We just had better athletes on the field at so many different spots. They had a hard time keeping up with us,” Steele said. The Hawks had 175 yards rushing. They already know how to pass. “When you’re pretty balanced like that, with our type of athletes, we put people in really bad spots,” Steele said. He credited the running of Juice Jones and Jon Domingos. Plus he was thrilled with Levi Crum’s first start at quarterback. More impressive, Steele said, was the offensive line. It was the first start for the two tackles, Ki Haden and Spencer Lindberg. On defense, Domingos was all over the field from his middle linebacker position. The coach also loved how Makaio Juarez responded to a tough break early in the game. The defensive back’s feet got tangled with the receiver. Juarez went down, and Toppenish got a touchdown on the play.